Spiders in Search of Beachfront Real Estate! Dr. Michael Draney (Natural and Applied Sciences) and James Steffen (Chicago Botanic Garden) recently published an article in the journal Great Lakes Entomologist titled “Disjunct Lake Michigan populations of two Atlantic Coast spiders, Disembolus bairdi and Grammonota pallipes (Araneae: Linyphiidae)”. Steffen and Draney discovered two species of spiders living on the beaches of Lake Michigan that had only ever been found before living near the Atlantic Ocean. Scientists use the word “disjunct” to describe isolated populations like these that are related but widely separated from each other geographically. The discovery that the spiders also live along the shore of Lake Michigan, more than 800 miles inland raises some interesting questions, namely how did these very tiny (less than 2 mm animals) get to the Great Lakes across hundreds of miles of unsuitable habitat? Populations can become separated from each other when the environment they live in separates into fragments due to geologic or climate events. Continents drift apart, rivers change their course or mountains rise, isolating populations on separate islands of suitable habitat. Populations also become disjunct from each other when species expand their ranges into new territories. This most often happens with species like birds or butterflies that can move long distances, or with species that hitch a ride on floating debris or on (or in) migrating animals. Can you tell which of the photos is of a beach on Lake Michigan and which is a beach in New Hampshire? While we don’t know how they got so far away from the Atlantic Ocean, the most probable explanation is that individual spiders ballooned inland by releasing long gossamer threads of silk that catch the wind and propel them along like a kite. Ballooning spiders are known to travel even thousands of miles using this technique. Those that were lucky enough to land near the shore of the Great Lakes found themselves in a hospitable and familiar habitat that they could colonize. The spiders do not care where that beach is located as long it provides what they need to survive and reproduce. Suitable habitat probably exists or existed in patches along the St. Lawrence Seaway and the Great Lakes east of Lake Michigan, and spiders may have “island hopped” by ballooning between such somewhat isolated islands of suitable habitat along the way from the Eastern Seaboard to northern Illinois. Understanding more about disjunct populations like these helps us to understand how specialized species might fare as they become isolated. Under favorable conditions, isolated populations survive, and over time, due to mutation and natural selection, become so genetically different from their far away relatives that the population may evolve into a new species. When conditions are poor and habitats are degraded or lost to development, pollution, or climate change, small isolated populations are more likely to go extinct. 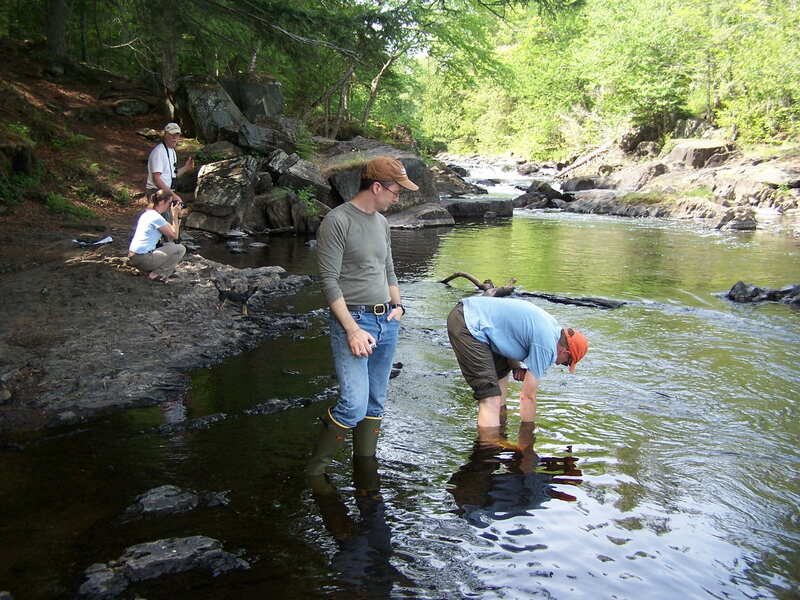 By monitoring species like these we can better track the health of the Great Lakes. Essentially all of the midwest’s plants and animals were absent from the Great Lakes thousands of years ago when the region was glaciated. Each species has a different history of where it took refuge during those ages, and how it got from there to here. The intersection of all these unique natural histories contributes to our complex and fascinating regional biodiversity. 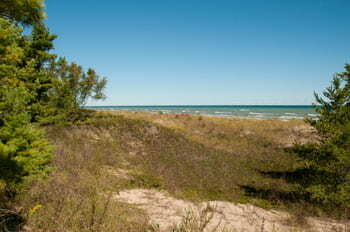 These Atlantic coast disjuncts are here because of the Great Lakes and the unique coastal habitats they make possible. 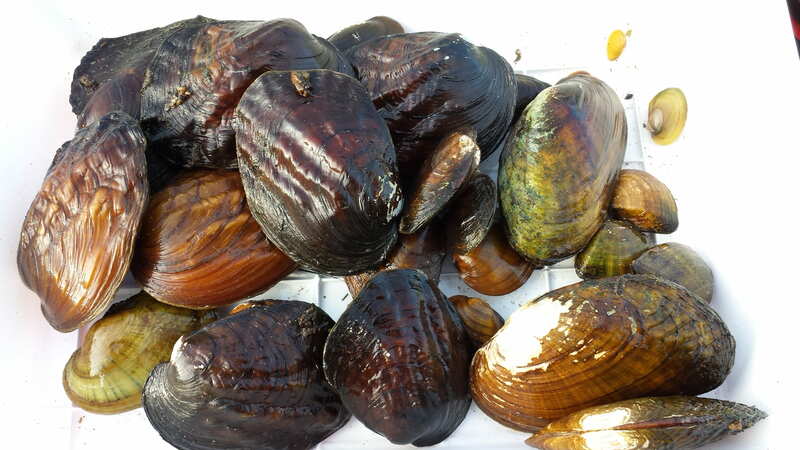 The present study shows that not just plants (like dwarf lake iris or Pitcher’s thistle) but also animals can be dependent on special Great Lakes coastal habitats. You’ve probably never seen Disembolus bairdi and Grammonota pallipes. Still, these species are two additional (but tiny!) reasons to appreciate our Great Lakes. The photo on the top was taken by Dr. Robert Howe at White Fish Dunes, WI and the photo on the bottom was taken by Dr. Steve Weeks of dunes in New Hampshire. 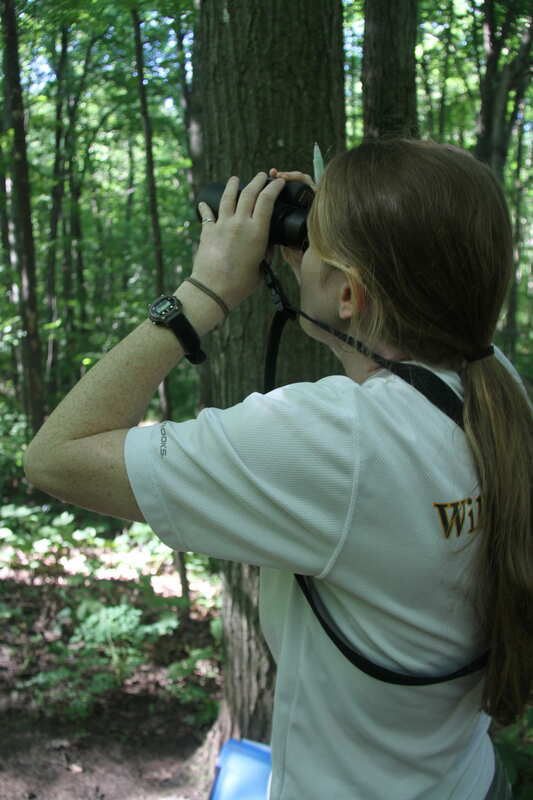 As I mentioned in one recent blog posting entitled “May 26, 2010 by Erin Gnass,” I performed bird surveys for the greater part of the month of June for my thesis project—the index of ecological condition model, as applied to northern hardwood forests of Wisconsin. 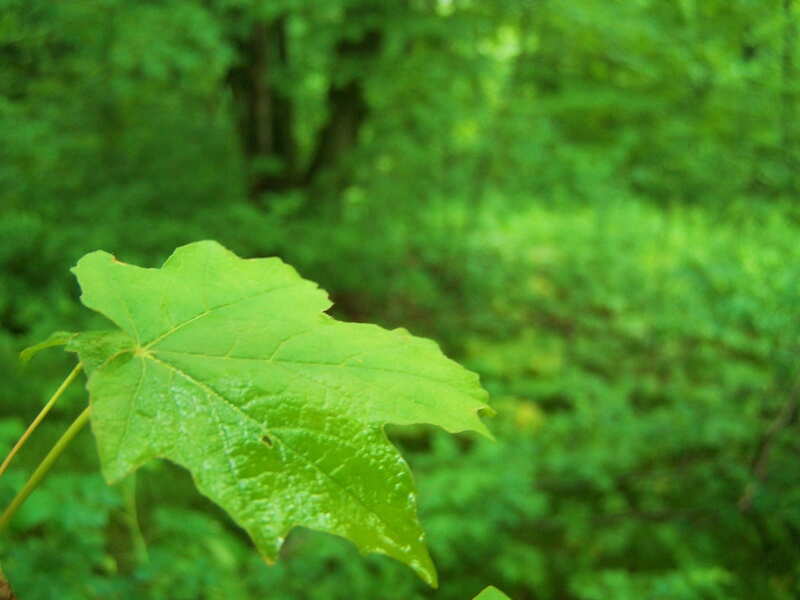 In order to most appropriately create this model, I surveyed additional hardwood forested sites considered to be of poorer forest condition so as to sample across a wide range of environmental condition. 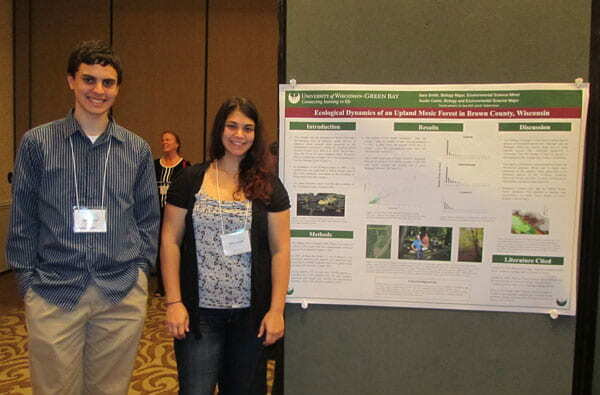 This enables the model to be more accurate and effective at calculating forest condition. 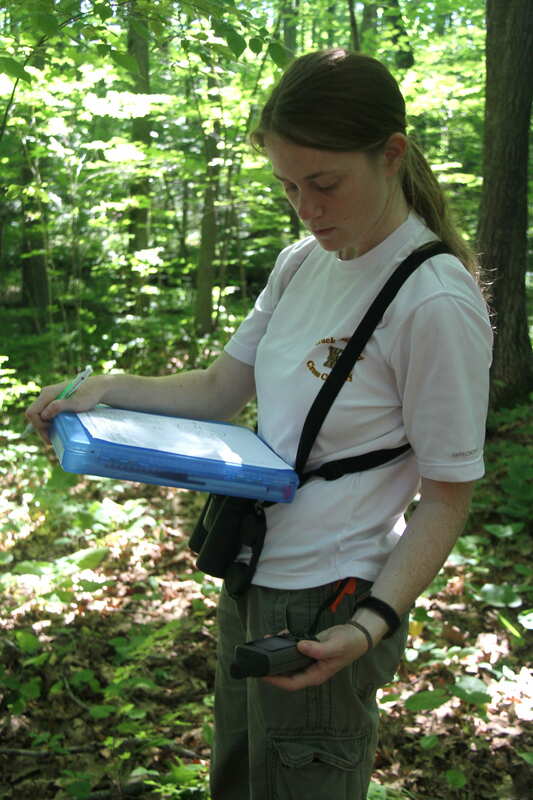 Therefore, I went in search of hardwood forest sites on both public and private lands near and within heavily managed, fragmented, and human-disturbed or developed areas. Within Brown, Kewaunee, Shawano, and Oconto counties here in east-central Wisconsin, I found 27 sites that I surveyed, with the much-appreciated assistance of Joan Berkopec (the same wonderful volunteer who helped with the Wild Rivers Legacy Forest surveys and the Nicolet National Forest Bird Survey that I described in the two previous posts). 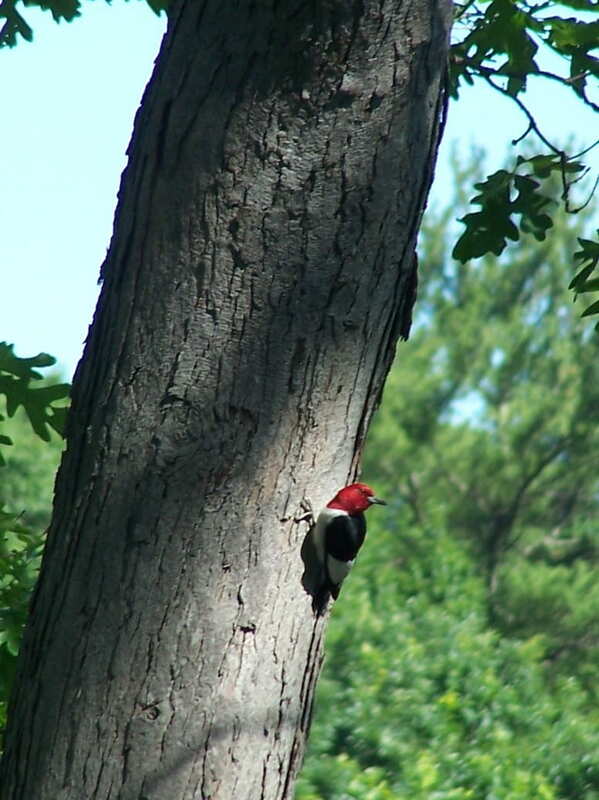 Every year since 1987, a large group of ornithologists have performed breeding bird surveys within the Nicolet National Forest (NNF; see the Nicolet National Forest Bird Survey: (http://www.uwgb.edu/birds/nnf/) in northeastern Wisconsin, now contributing to well over 40,000 records of birds consisting of over 200 total bird species. Whether you are an ornithologist by profession, a volunteer, a student, a back-yard birder, the state’s best expert, or a complete novice who has never seen a Canada Goose in your life, absolutely anyone can come and assist in the survey! Luckily, I was able to be one of the group leaders and engage myself in the survey for the very first time. Having heard about how much fun and exciting it is to participate in such a wonderful annual event, I was not disappointed in the slightest! 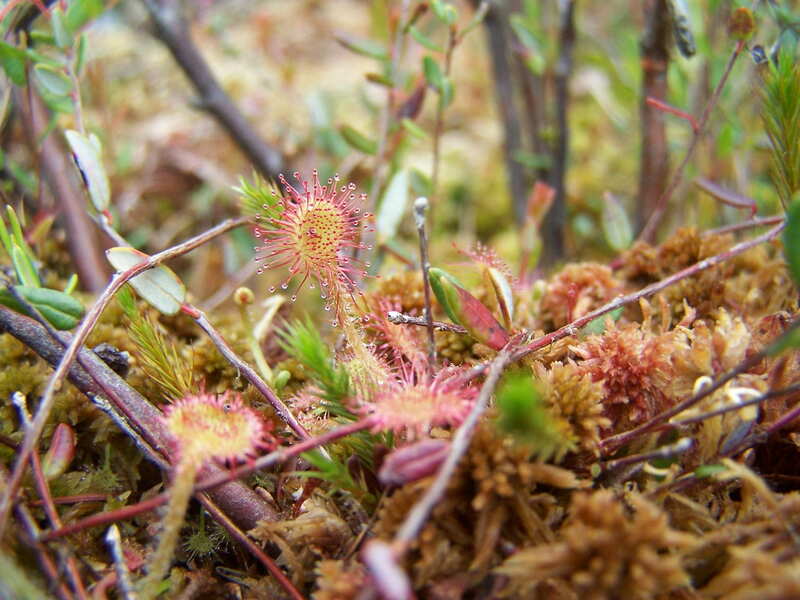 On the first day of the survey, I led a small team birders consisting of a young couple and another woman to pine and hardwood forests and a few beautiful bogs. Although the sites were not as biodiversity rich as other sites within the Nicolet National Forest, we were able to observe many interesting but “usual suspect” birds, such as the Ovenbird, Red-eyed Vireo, Chipping Sparrow, Eastern Wood-Pewee, Rose-breasted Grosbeak, American Robin, Brown Creeper, Blue Jay, Black-capped Chickadee, Black-throated Green Warbler, Alder Flycatcher, Yellow-bellied Sapsucker, and many others. After this first morning of surveys, a large group of us, including (some of my favorite ecologist/biologist friends) UWGB undergraduate student, Aaron Groves, former UWGB Environmental Science & Policy graduate student, Kathryn Corio, Ron Eichhorn (who helped the Nature Conservancy and me with the WRLF project), and a few others went out to a bog near the NNF to look for interesting plants and birds. A few of us chased down a Palm Warbler while others observed uncommon plant species. Please see the photographs that I took down at the bottom of this posting. Thank you to all of the botanists in this group who showed me these beautiful plants. On the second day, graduate student, Nick Walton, joined our group and helped to lead the surveys. Near the end of one of the last surveys of the day, we heard a nearby soft chickadee-call where we discovered two Boreal Chickadees—the highlight of my entire summer. Not only did these individuals continue singing throughout the remainder survey, they flew low in the trees only ten meters away from us for quite a few minutes. 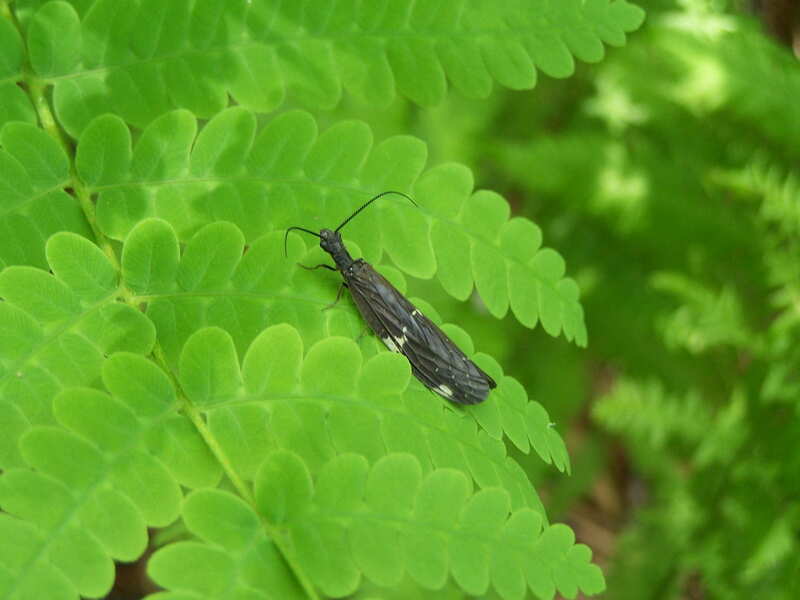 Not many people have the opportunity to view this species in particular because they are considered an uncommon, northern U.S./Canada dwelling species. Thus, when we shared the news with other birders upon returning to the field houses, everyone expressed their surprise and excitement to us. What a thrilling day it was. 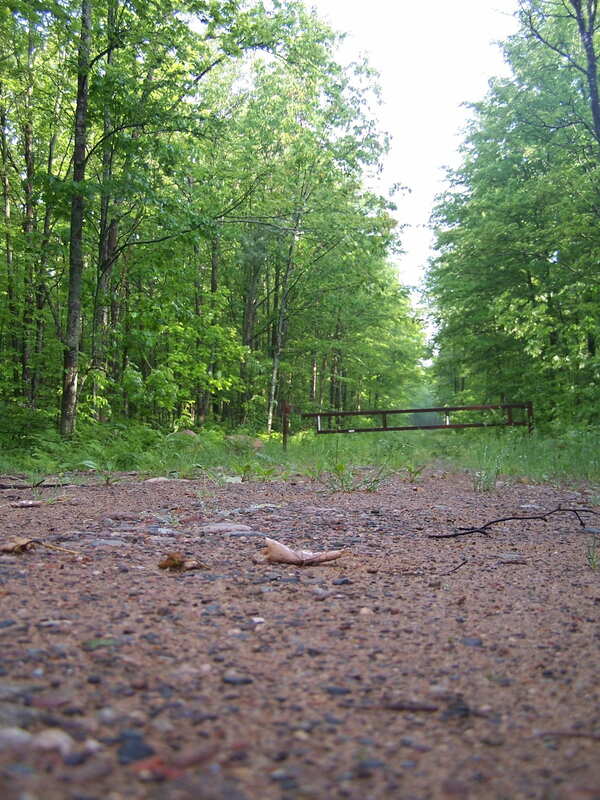 I look forward to next summer’s bird surveys at the Nicolet National Forest. 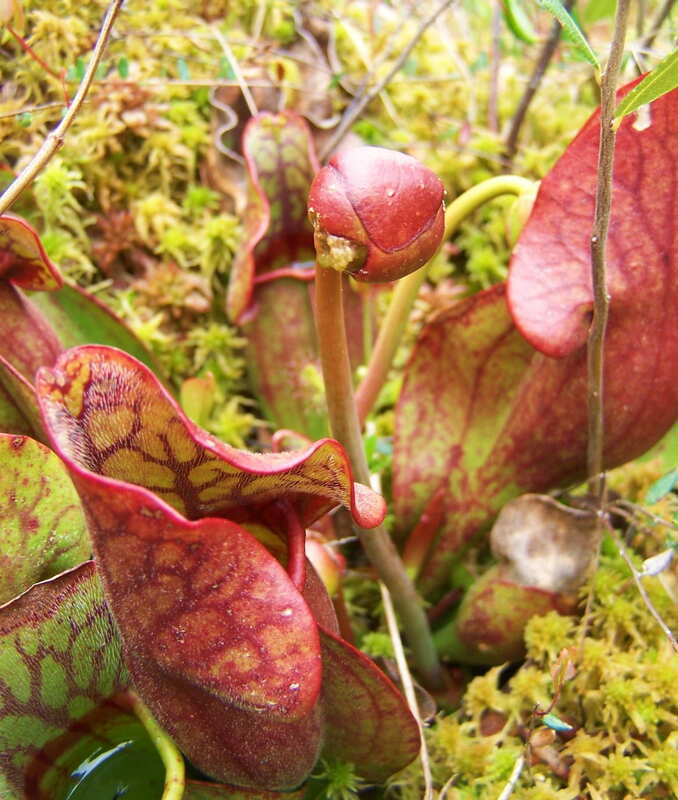 One of a few beautiful bogs that we surveyed. 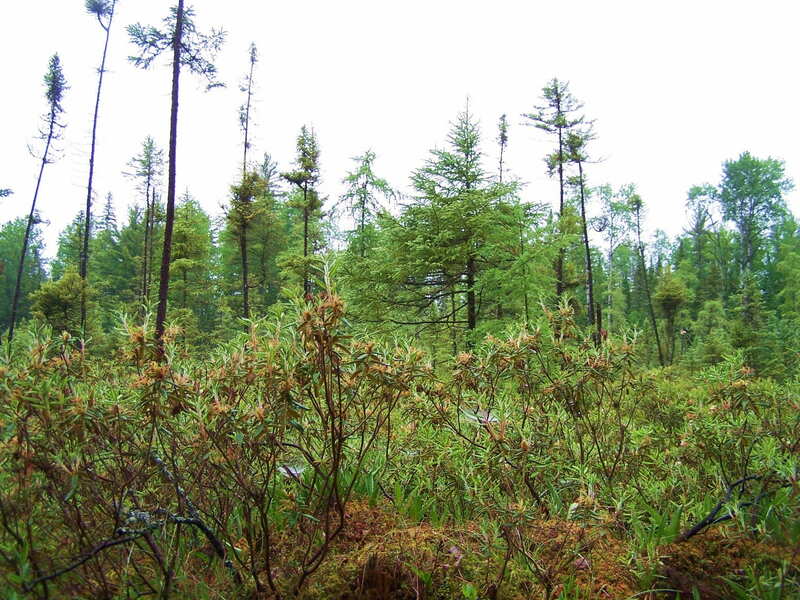 After the first day of surveys, a small group and I went in search of plants and birds around the bog pictured here. 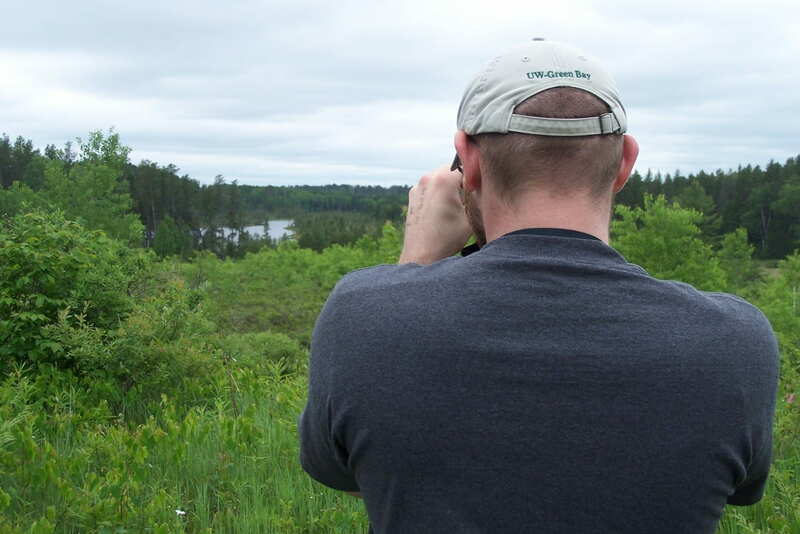 UWGB undergraduate, Aaron Groves, bird watching at the bog. 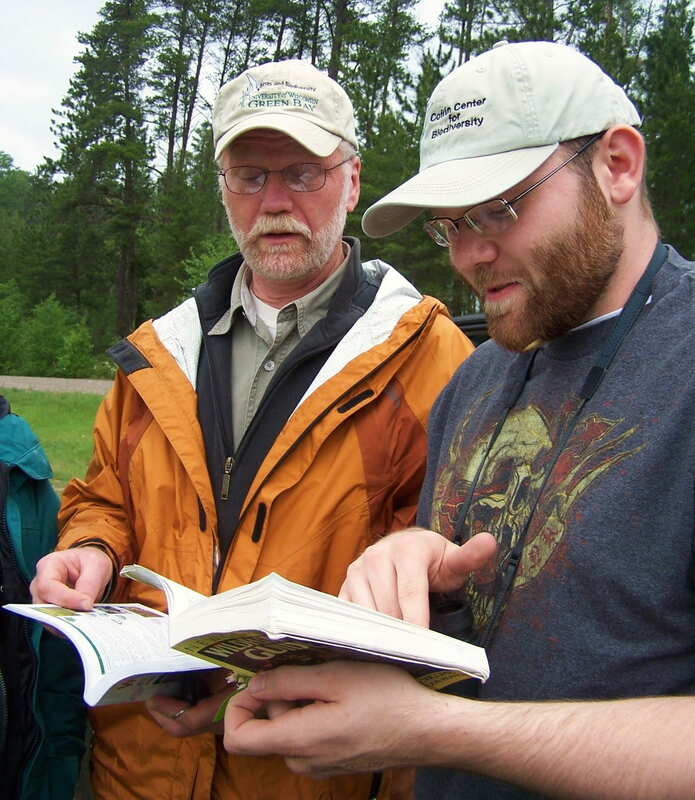 Ron Eichhorn and Aaron Groves trying to identify a plant. 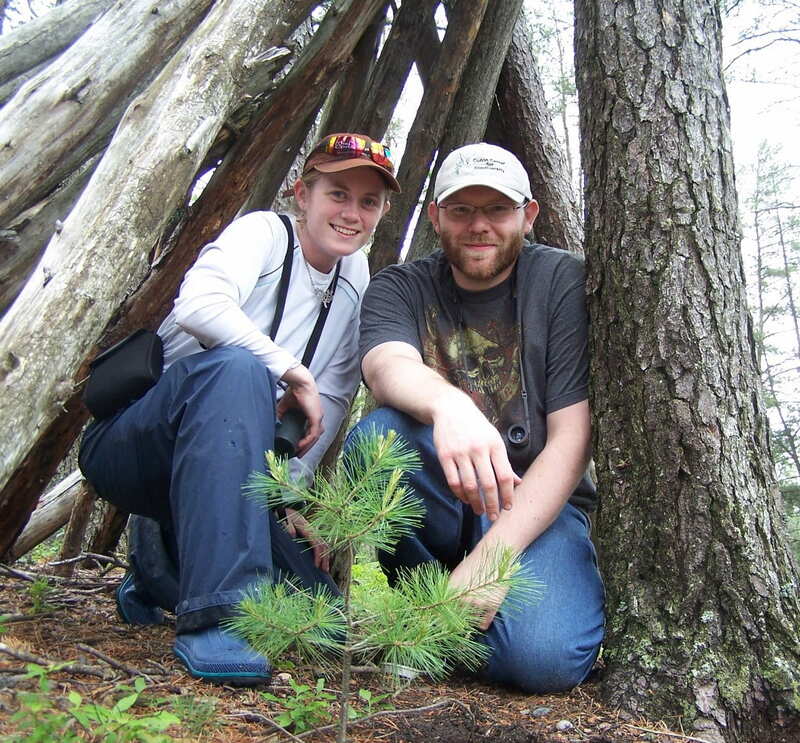 Aaron Groves and I found a previously made teepee-like structure on a hill leading down to the bog. 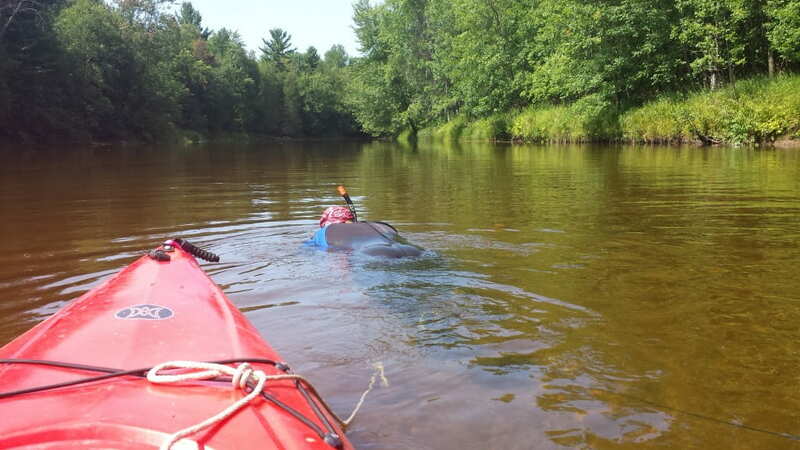 One of the many exciting bird research projects that I helped to investigate this summer was with the Nature Conservancy (TNC) in the Wild Rivers Legacy Forest (WRLF) north of Armstrong Creek in northern Wisconsin. With a field crew of eight people, many of us living in one field house, we not only gathered very useful bird survey data for TNC and my graduate thesis project, but we were also fortunate enough to listen to and observe many unique and beautiful bird species. 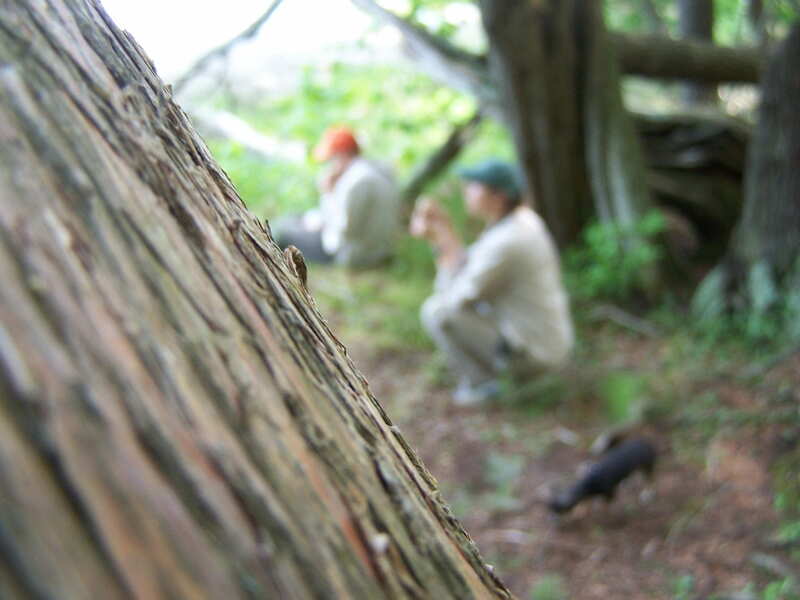 Every afternoon or evening, we met as a group to decide how to break apart all of the required bird survey sites within the forest. Some of us went out in pairs while others surveyed independently to perform as many bird point counts as possible between the half hour prior to dawn until 9:30 AM (the short window of time that breeding birds are allowed to be surveyed). Depending on the terrain, distance between points (via car or on foot), and weather, many pairs or individuals performed as few as 5-6 surveys to as many as 12 in a morning! Therefore, we finished all 200 bird survey sites in the WRLF and the 23 additional sites of poor ecological forest condition in one week’s time! And several other birds of interest included: Black-billed Cuckoo, Black-capped Chickadee (in large numbers), Blue Jay (in large numbers), Brown Creeper, Common Raven, Chimney Swift, Evening Grosbeak, Indigo Bunting, Purple Finch, Rose-breasted Grosbeak (in large numbers), Red-breasted Nuthatch, Scarlet Tanager (in large numbers), White-breasted Nuthatch, White-throated Sparrow (in large numbers), Winter Wren, and Yellow-billed Cuckoo. 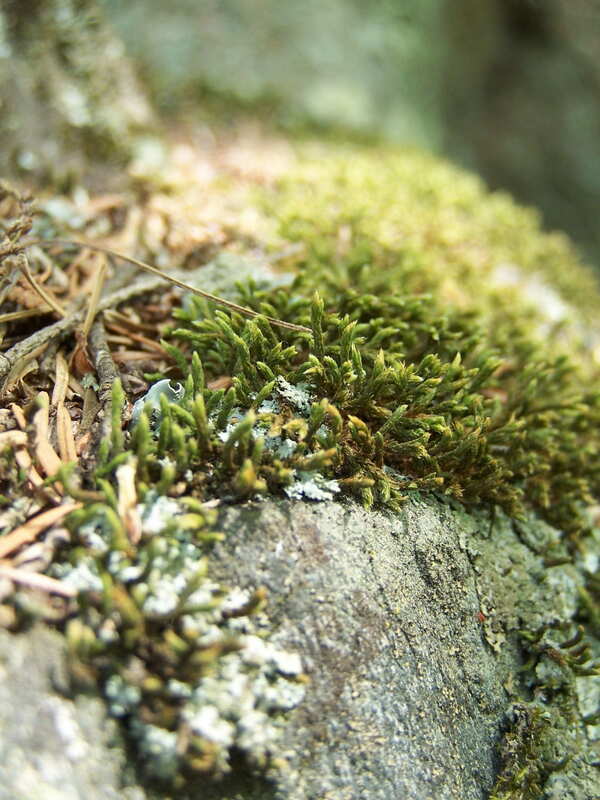 In comparison to the 200 sites of the WRLF, we only observed 47 total species within the sites of poor ecological forest condition, including many of those observed within the WRLF. 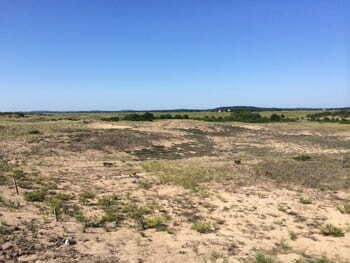 In these additional sites, however, we also observed the Eastern Bluebird, Eastern Meadowlark, Golden-winged Warbler, Ring-necked Pheasant, and Yellow-throated Vireo, which were not observed during point counts in the WRLF. 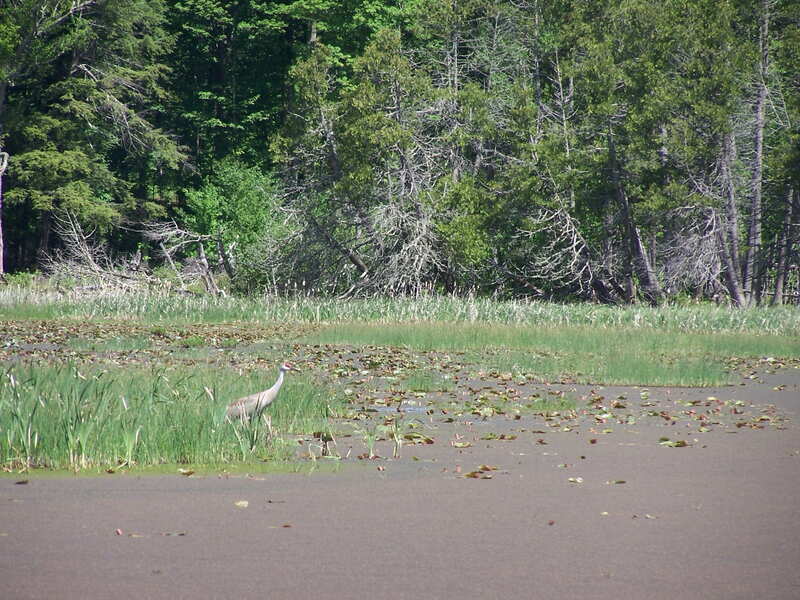 For fun in the afternoons, we would gather for lunch at a nearby lake, such as Savage Lake, and enjoy the Black Terns, Sandhill Cranes, and Common Loons, which foraged within a few hundred meters of us. Other days we searched for different bird species (e.g. Bobolink) and other walks of life, such as dozens of dragonfly species, as expertly identified by Ron and Joan. We ran into several deer and quite a few black bears, including one close call during a survey that I was conducting by myself. Around minute three of one ten-minute bird point count survey that I was doing, a large black bear peered through thick brush about 25 meters away from me. After shooing it away from me, it still remained close, only about 200 meters away. 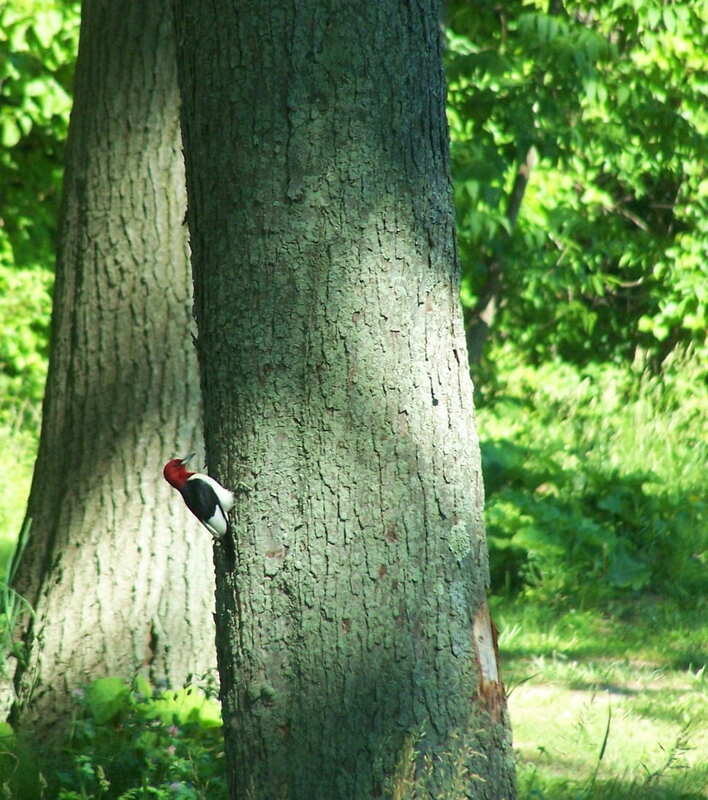 Upon completing the bird survey and heading back to my car, it stood on its back legs and kept a close watch over me! 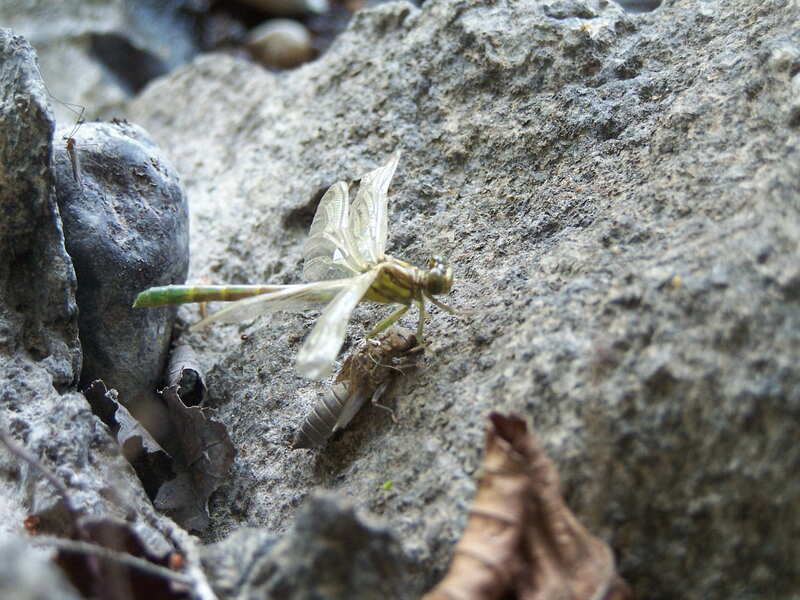 Thankfully, it continued to forage and stay clear of me. In one short week’s time, our dedicated and tireless field crew performed many surveys, which provided this study with incredibly useful data that will contribute towards a vastly important conservation project for the future. Luckily, I had some of the most fun that I have ever had working on a bird field crew and am grateful to be a part of this project. Thank you to all of those expert birders on this crew who helped me to become a better birder! Please take a look at some of the photographs that I took during this week. 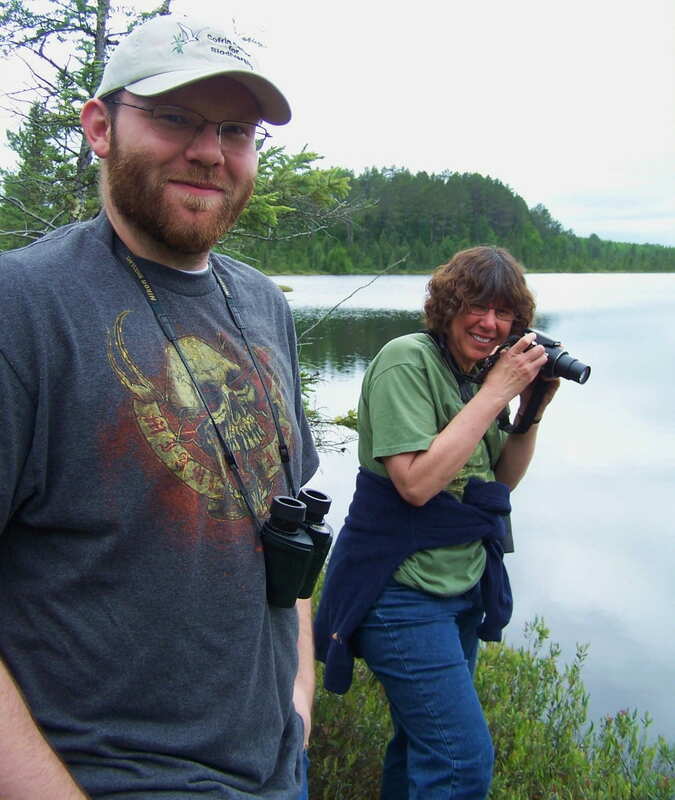 Because I have been in the process of preparing for my graduate thesis field work this summer, I have not had a chance to perform any additional bird surveys at Point au Sable. 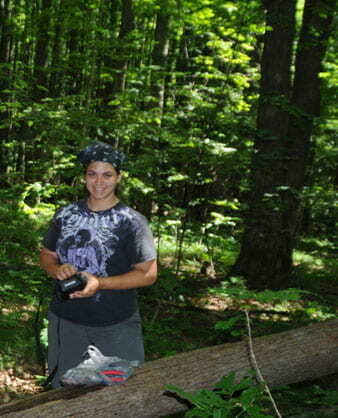 I will be heading to the northern hardwood forests of Wisconsin on Saturday to assist in performing over two-hundred bird surveys with the Nature Conservancy (TNC) for my thesis research. 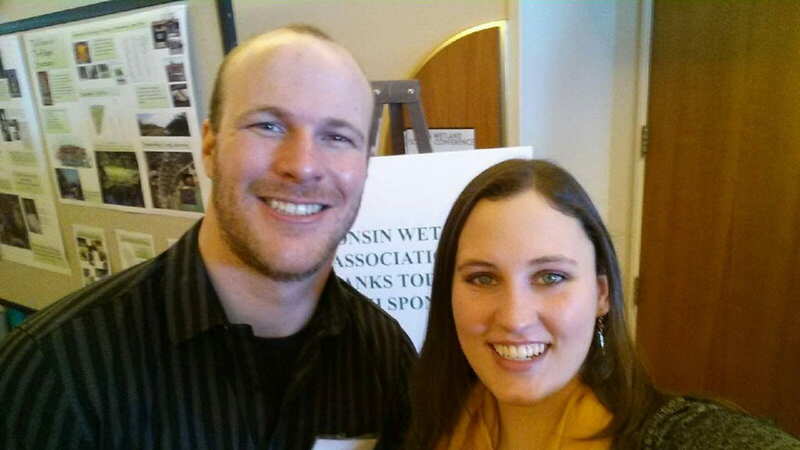 For my thesis project, I am developing a probability-based ecological indicator model for over 65,000 acres of forested land that is managed by TNC, the state of Wisconsin, and timber investment management organizations in the Wild Rivers Legacy Forest (WRLF). Based on an environmental gradient (ranging from degraded to pristine forest conditions), this ecological indicator will utilize the presence and absence of assemblages of bird species to indicate the ecological condition and conservation health of the forested lands of the WRLF. This indication of ecological condition will provide timber managers within the WRLF assistance in monitoring and managing these forests in a sustainable manner for both humans and wildlife. 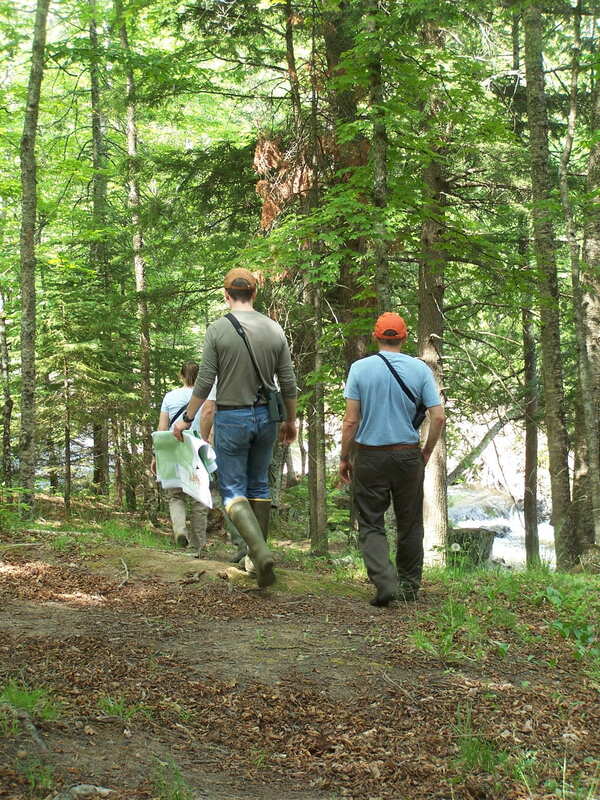 In preparation for the model, TNC surveyed sites in the northern hardwoods of Wisconsin for forest bird species in the summer of 2009. This summer, I will be fortunate enough to join the team of ornithologists and survey the same sites as well as others, starting this Sunday. Additionally, in order to survey sites across the entire environmental gradient, my graduate advisor, Dr. Bob Howe, and I are surveying additional areas of varying forest condition including fragmented, isolated, and/or human-used areas in the Brown County area in order to most appropriately create this ecological indicator model. 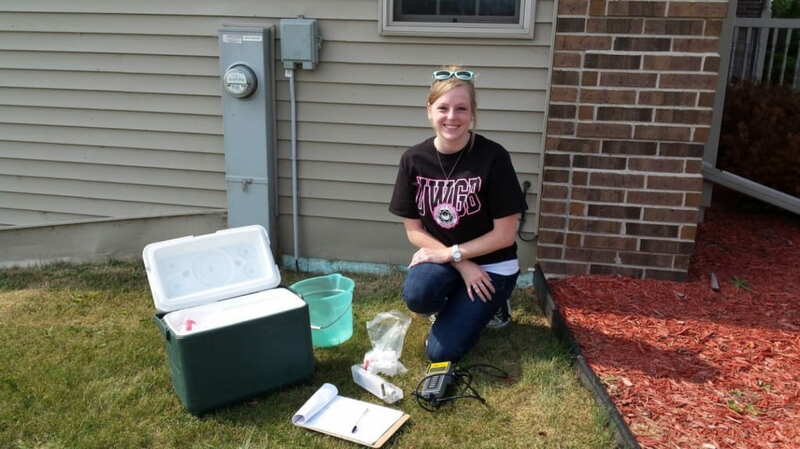 Therefore, we started these additional surveys yesterday morning in areas including and surrounding Brown County. 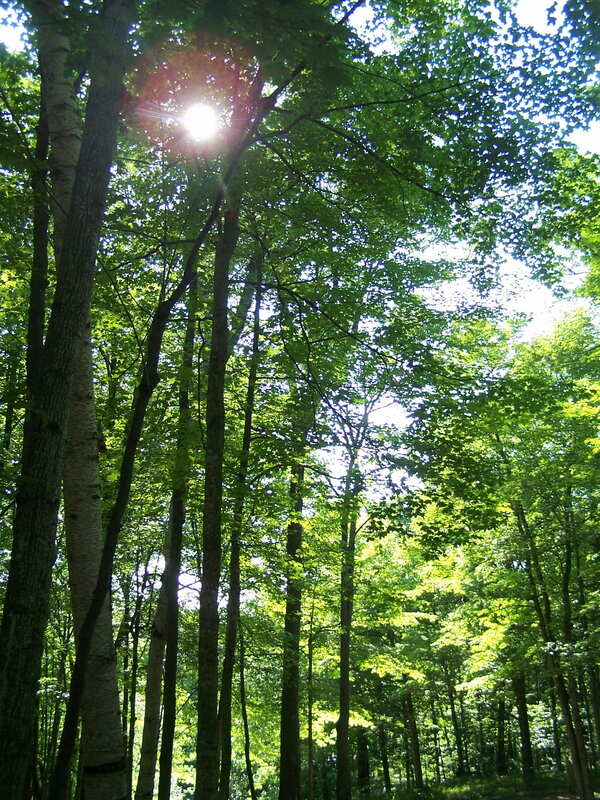 All of this data will then ultimately contribute towards the conservation, protection, and sustainable use of northern Wisconsin hardwood forests. 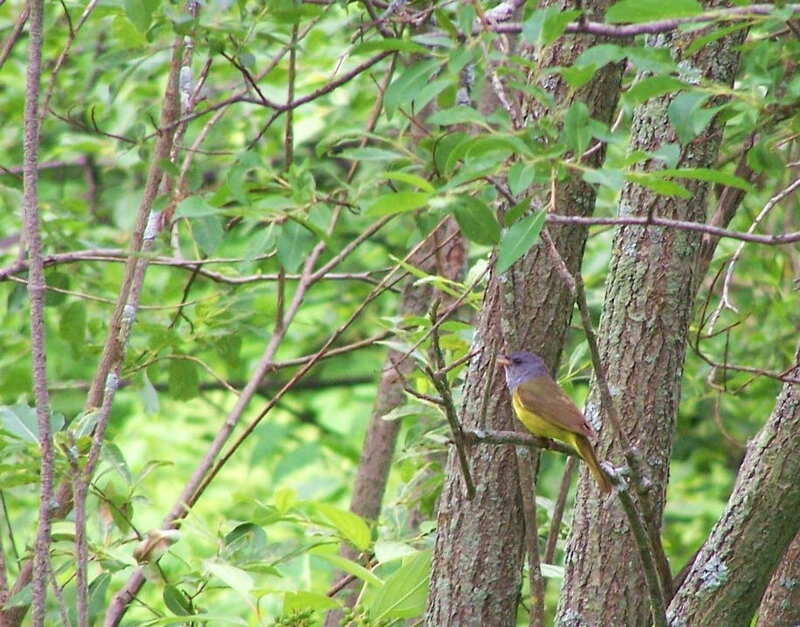 Yesterday, we went to the managed forests of the Reforestation Camp in Suamico, Wisconsin and found 31 total bird species, including many species of particular interest: Mourning Warbler, Northern Waterthrush, Pileated Woodpecker, Scarlet Tanager, Veery, and Yellow-bellied Sapsucker. 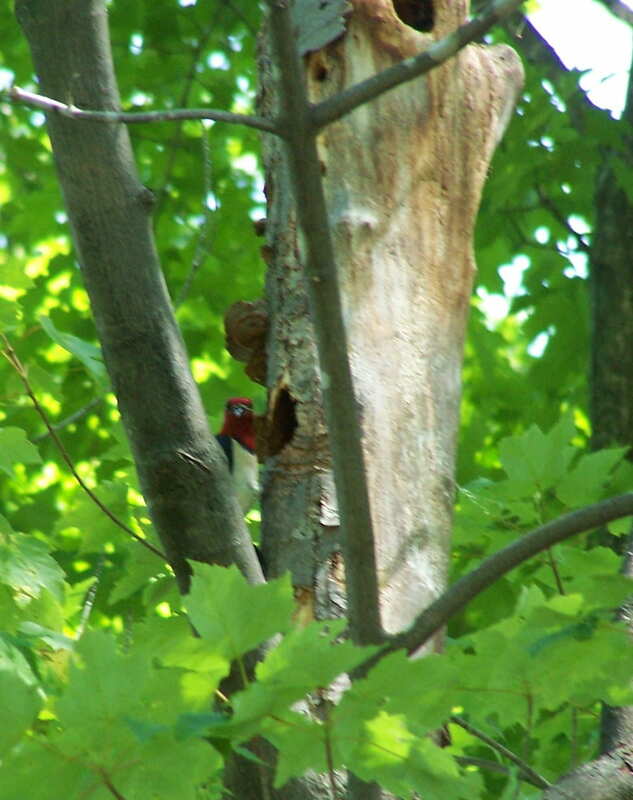 We also found American Crow, American Goldfinch, American Robin, Black-capped Chickadee, Blue-gray Gnatcatcher, Brown-headed Cowbird, Blue Jay, Canada Goose, Common Yellowthroat Warbler, Downy Woodpecker, Eastern Wood-Pewee, Great Crested Flycatcher, Gray Catbird, Hairy Woodpecker, House Wren, Indigo Bunting, Mourning Dove, Northern Cardinal, Ovenbird, Red-bellied Woodpecker, Red-eyed Vireo, Red-winged Blackbird, Sandhill Crane, White-breasted Nuthatch, and Wild Turkey. 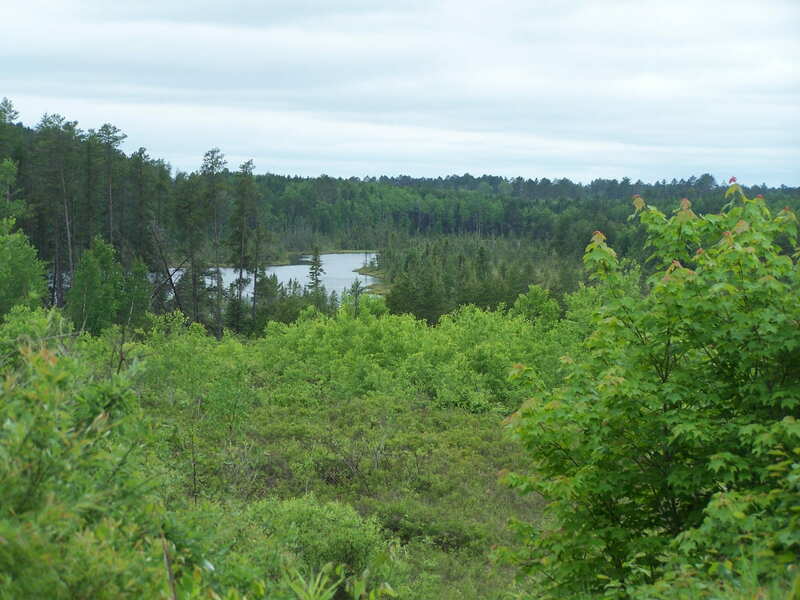 Although I will be in northern Wisconsin for the next few weeks, I will provide a few reports about my thesis work and the annual Nicolet National Forest Bird Survey (June 11-13) when I return to Green Bay. 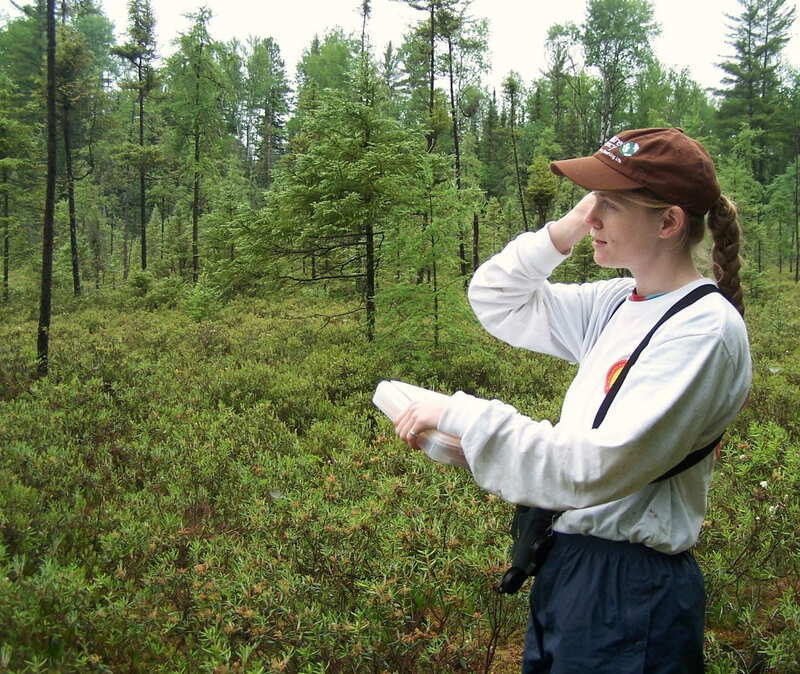 Then, once I am back from field work, I will survey Point au Sable again and provide weekly updates. So please stay tuned!